You are here: HomenextKeywordsnextpost-warnextJimmy O’Mahony and Barry Clare in the garden of 17 Meliot Road. Jimmy was the son of Eddie O’Mahony. 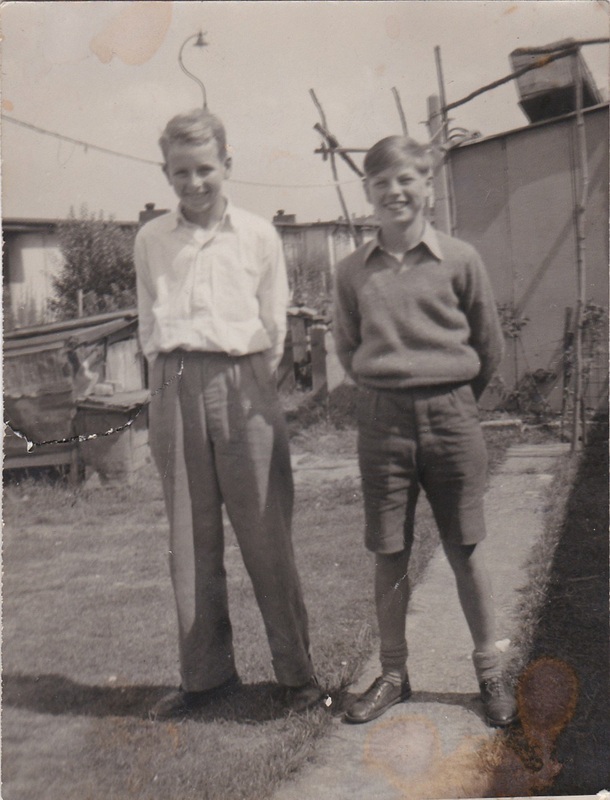 The picture shows Jimmy O’Mahony and Barry Clare in the garden of 17 Meliot Road. Correction: the picture is of Jimmy O’Mahony and Barry Clare in the garden of 17 Meliot Road. Jimmy was the son of Eddie O’Mahony.